So it’s no surprise that year over year, we see brands continue to reallocate their advertising budgets, shifting dollars from traditional TV, print, and out-of-home installations to more digital media. But video is expensive and difficult to produce so most of the shift has consisted of banner ads on publisher websites and sponsored content. Mobile video advertising is growing faster than any other digital advertising format, with predictions that mobile video ad spend will reach $8.6 billion globally next year. So is mobile video just the newest, hyped-up thing for advertisers to flock to or is there true value in the investment it takes to create a quality mobile video? According to research from Google, a survey of smartphone owners ages 18-34 suggests that people are far less distracted watching video on their mobile device than they are while watching traditional TV. Sure, the screens are smaller, but there are fewer distractions competing for attention on mobile. (It’s a little too difficult to tweet while watching a video on your phone.) It’s also a great way for people to research products before making a purchase. The auto industry has already figured this out because they spend more than most on video advertising (both in digital and traditional TV commercials). The consumer purchase journey for automobiles is incredibly visual and emotional. The car a person chooses to drive is, in many ways, an extension of their identity. The best way to demonstrate what it means to be a Jeep owner, or a Subaru owner, or a Dodge Ram owner is to create an emotional connection with the audience about what it’s like to own and drive that car. Video is the best way to create that connection because it combines the power of sight, sound and motion to evoke the desired emotions and create a connection between the buyer and the brand. And no other advertising medium compares to achieving results like that. 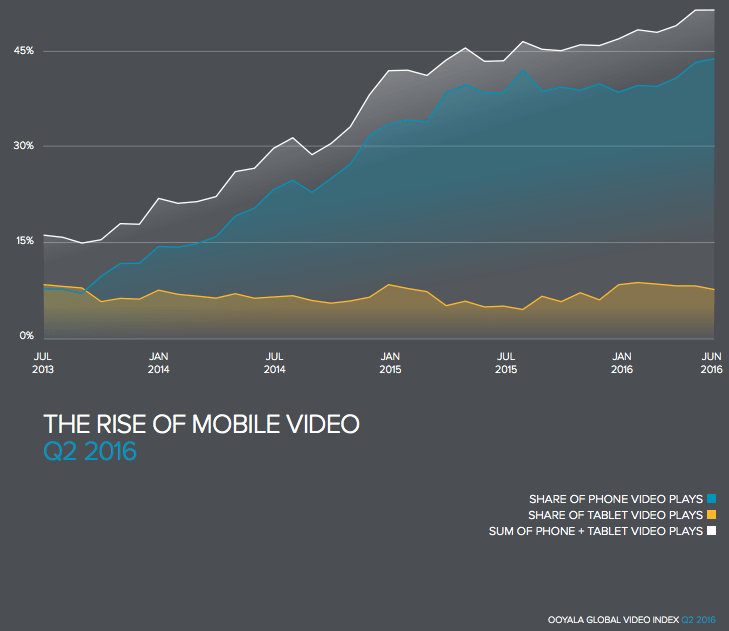 Interested in leverage a digital video or TV commercial on mobile? Contact us today.